This is a temporary site where readers of Humanity Incorporated can share their ideas and criticisms and pose questions about the project outlined in the book. All comments will be moderated by the author. The main purpose of moderation is to eliminate spam– not dissenting voices. Contrary opinions are valued as much as agreement. Additionally, I will be adding all of the “Humanity Incorporated” essays which have appeared in my Newsletter over the past two years which provide further insight into these very ideas. Thank you for voicing your concerns Angie. The two main points you bring up were inevitable as parts of this discussion. The first point, that of the “corporate” nature of the solution proposed, was one which gave me a moment of pause as well when I contemplated the title for this project. Indeed, there is a great deal of negativity– especially among the more “awakened”– surrounding the reality of our corporate-dominated social fabric. Corporations have been (wrongly) identified as the “enemy.” The phrase “if you can’t beat ’em, join ’em” is apropos to some degree. The reality of the world we live in right now, whether we like it or not, is set up to favour corporations. They are the most effective tools for operating in the business world. It is important to remember that they are tools. And like any tool, they can be wielded for good or for ill depending upon the intent of the user. The analogy I like to use is that of a sharp knife. In the hands of a psychopathic killer (many corporate CEOs), a knife is a murderous weapon. In the hands of a gourmet chef however, a knife is very nearly essential and is certainly a great boon. Just because we’ve observed the actions of many more psychopaths than gourmets, it would be foolish to decide that knives must be evil, and therefore we should insist that our chef refrain from ever using one again. I would say “Good luck” to our chef! We mustn’t handicap ourselves with our personal biases. I would also like to point out that in its most general sense, the word “incorporate” means to include. Humanity Incorporated seeks to include everybody. The second point which you raised was that of the problems with democracy– specifically, “the mob rules” conundrum. What happens when 51% band together to gang up on the other 49% and force unethical outcomes in the name of majority rule? This is a question which invariably comes up in any discussion of direct democracy among those who’ve scarcely contemplated it before. The short answer to this conundrum is that the majority is not permitted to break the law any more than an individual is permitted to break the law. The majority cannot vote to plunder any minority. The majority may only endorse projects and actions which are in compliance with an agreed-upon constitution– or in the case of a corporation, its ratified charter (its contract with each of its shareholders). Such charters and constitutions must be set up very intelligently in the beginning to prevent any eventual usurpation of power within an ideally egalitarian system. We have been so conditioned in modern times to accept governmental abuses and excesses which are in clear violation of constitutional law that it has become rather easy to conclude that such contracts are destined to fail. It is my opinion that the failure of constitutional law is largely the result of incremental infringements going unchallenged until enough power has been centralized to where our governments can now run roughshod over the constitution with little concern for reprisal. The remedy is unwavering vigilance. Ultimately it rests upon the integrity of all participants. In this proposal, Humanity Incorporated, the majority must steer the corporate ship inexorably toward the goal. By choosing to participate through monetary investment, each shareholder is agreeing to do just that. The goal is clear: Sustainable Abundance For Everyone. If the corporation began moving off course, participation would quickly wane and the company would fall apart. Conversely, as the company demonstrates its ability to reach towards the stated goal, participation will increase, and the democratic process will thrive. I am sure that others will have more to say on these matters. The above linked article is definitely worth a read, if for nothing more than to assure readers of Humanity Inc. that such proposals as this have been in existence already for quite some time and have enjoyed a great deal of success already. Humanity Incorporated: a SAFE solution to the enslavement of Earth’s biosphere is my third book. It’s a tight little unit coming in at about a hundred pages– which for me is rather short. So in the coming months I will be fleshing out the content with these essays which will address and readdress the main theme of the book, looking at it from hopefully every angle. Now that the Occupy Wall Street protests have garnered the attention of the world and spread like a virus to hundreds of urban centers, onlookers and even many participants are beginning to question “What’s it really all about?” It seems there’s about as many varied answers as there are protesters. And as more and more people voice their discontent and enter the dialogue, perhaps a solid agenda will finally emerge. To me, the primary question is: Will this just be another revolution where one centralized power gets replaced by another centralized power? Or can we reasonably expect that a fundamental reorganizing could actually occur giving birth to something completely new? Revolutions seem exciting at the time, much like children riding a merry-go-round. Sometimes they get a bit out of hand; one of the kids pukes, and when the revolutions are done it’s pretty much back to business as usual. The word itself– to revolve– means to roll or to turn. It looks at the “object” from the outside, attempting to see it from a new angle… but it remains as the very same “object”. Nothing’s changed, just a new way of looking at it. Politically this manifests as one dictator being replaced by another dictator, a change of face but the dictatorship itself remains. The alternative to this most superficial of changes is evolution. To evolve– etymologically– means to unfold or unroll as in a scroll or papyrus, an act which reveals what is hidden inside. Although revolutions tend to grab all the biggest headlines, evolution is actually a much bigger deal. Don’t believe me? Go ask a dinosaur! From all the globalist banter in recent years it has become rather obvious that the controlling elite are poised to propose a central world government with a central world bank as the “solution” to the current crisis. To many, such a proposal seems downright revolutionary… Yawn. Such a “solution” doesn’t even bother to attempt to put a new face on the revolution; it just goes with the same old faces but now just one step farther removed from the electorate. The global elite– the 1% (or less)– want the game to continue. So far it has served them extraordinarily well. And why shouldn’t it? They made the rules; they’re still making the rules. We need a new game. The game has to evolve… we have to evolve. It’s time to grow up kids; time to get off the merry-go-round. If our best strategy is to kindly ask for our power back, we’re screwed. “Please sir, can I have some more… some more power?” Deep, deep belly laugh while spittle flies in your face! Why on Earth would the powerful relinquish even a fraction of their power? Because they’re really such kind souls after all? Hardly. “But we outnumber them a hundred to one! We can band together and take ‘em with brute force!” Exactly what they’re hoping for… a battle in the streets, out-of-control rioting, total anarchy… that is their deepest wish. All the fence-sitters who don’t get involved in these sorts of things will sound the alarms. “Oh god! This is awful! Something must be done to restore order!” And Big Government will throw up its hands and declare “We can’t do anything about it unless you grant us more authority.” And that’s the moment when we’re all really screwed! That’s how the game has been played for eons, with the same “winners” coming out on top every time. I for one am sick and tired of the same old movie. We need to write a new script. Got that? We write the new script. We make the rules of the new game, so that centralization– the theme of the old game– cannot happen anymore. We have to come together and work out what we want. And then we don’t go chasing after Mommy and Daddy asking for permission to have the world we want… we create it. Stop playing their game and play our own instead. Face it, they’re not going to give in to our demands unless it serves them. We’re the 99%. 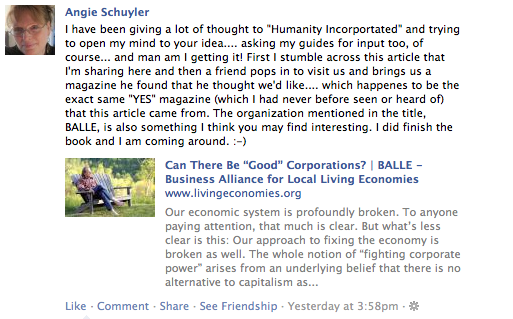 Surely amongst us we’ve got a few good ideas about how to build a better world! So what if 1% don’t like the new game and refuse to play. Do we really need them for… anything? Every problem in the entire cosmos stems from imperfect listening. Whether listening to others or even ourselves, we need to reaffirm that we are all One. Interconnectedness and interdependency are undeniable realities which, sooner or later, we all have to face. We have every right to explore and proclaim our unique individuality, but it is only through listening that we find the chance to discover how we integrate within the whole, the One. Wholeness is a matter of coherence. And coherence is most obvious when it is lacking. Look around at our modern societies and communities and decide how many of these descriptors fit: confused, disconnected, discordant, incomprehensible, jumbled, puzzling, uncoordinated, nonsense. These are all antonyms of coherence. How do we gain coherence for ourselves and the communities in which we live? By listening. Well, yes. Let’s begin with the individual. Each and every one of us need to learn how to listen to ourselves. We are all, to some degree, divided within ourselves. We are incoherent. We all have aspects of ourselves which we deny and repress, pretending that they aren’t really parts of our character. These are usually the things that burst to the surface unexpectedly when someone really “pushes our buttons.” In normal circumstances we can usually keep these things in check, but in rare moments of extreme stress they assert their reality in our lives, often much to our chagrin. “Oh dear, where did that come from? I’m usually not like that!” Denial and repression never work in the long run; they are temporary fixes at best. Listening, deep listening is the answer. When we meditate, we are listening. We listen for all the little voices which have been pushed into the background. We listen to our bodies, to all the parts which feel neglected. We listen for unexpressed emotions that need to release a charge of pent up energy. We listen to all of the little pieces of ourselves that we’ve denied or forgotten, and give them acknowledgement– nothing more; nothing less. There is a great deal of unnecessary mystery and fear surrounding meditation in the West. It’s weird or spooky… or just a colossal waste of time. It is listening, that’s all. “But what do I do when trying to meditate?” What do you do when you listen? You stop all doing, and listening happens. There is no procedure for actually listening, just preconditions. There is no procedure for meditation, just preconditions. Do nothing, and meditation naturally arises, listening occurs. It is not thinking; it is not feeling; it is just noticing– noticing thoughts and feelings… without engaging them, without indulging in them. In meditation there’s no denying it. Whatever comes up is a part of you. There’s no one else there, just you. 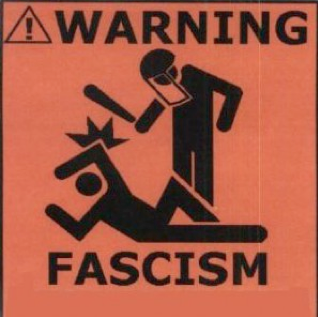 You can’t deny it; you’d be foolish to try to suppress it again. You have no power to make things which already exist suddenly cease to exist. Accept them, and they will reintegrate themselves effortlessly. Eventually you will achieve coherence… and the expression of coherence is unconditional love. So then as we begin to turn our gaze outward, we quickly understand that it is the very same phenomenon occurring within our societies. All of the denied and suppressed voices in our communities just desperately want to be heard, to be acknowledged as valued parts of the whole. They wish to find their place in equal partnership, in dignity. Individuals with a high degree of coherence, those who are loving, have little difficulty accepting differences. In fact, they relish and cherish them because they make humanity’s life richer and fuller. So, yes, I very strongly believe that masses of people sitting around “contemplating their navels” can be of tremendous benefit. So we practice on ourselves until we’ve learned how to listen, gaining coherence (love) for ourselves. Then we practice listening to others, giving them the acknowledgement they crave, bringing love (coherence) to our societies. And then we’re ready for the next step which is prayer. Yup, that’s right. The guy who has never been to a church service in his life is advocating prayer. I do it all the time, but I’ve observed that quite often prayer and religion don’t mix too well. Yes, I know. Most of us can’t conceive of prayer as being separate from religion. In my observations however, religion utterly ruins prayer. Prayer without coherence is confused, disconnected, discordant, incomprehensible, jumbled, puzzling, uncoordinated nonsense. Meditation is listening; prayer is asking. When we ask, we are seeking answers. If you are incapable of listening (meditating), you will receive no answers. Prayer is not about asking for stuff or for specific outcomes. Prayer asks for insight and inspiration. These things only come to those who know how to listen. Prayer is open; it beckons. It is an invitation to the divine (wholeness) to communicate directly with us. It has been said that all prayers are answered, and I agree. They are, but all too often the answers go unnoticed. Prayer is the active side of meditation. Prayer is a very subtle “doing” as it is initiated, but requires the “non-doing” of meditation to complete the communication. Prayer proposes “What if…?” The cosmos answers, and either you are inspired and uplifted, or your proposition falls flat. Prayer tests the waters and seeks further input. It is a communication which seeks to tap into the ultimate coherence, the cosmic intelligence. Prayer serves society as it serves the individual. Eventually, we will desire to meditate together, to pray together. When individuals meditate together, they evoke a group mind. With adequate coherence the group mind outstrips the sum of its parts. It is capable of penetrating deeper into the silent heart of the One; it is capable of deeper listening. A group of meditators may choose to focus on a particular subject, offering it up as a prayer, and the insights available to the group mind will be commensurate to the degree of coherence (love) within the group individually and collectively. And that is how you design sane societies without really doing much of anything at all. 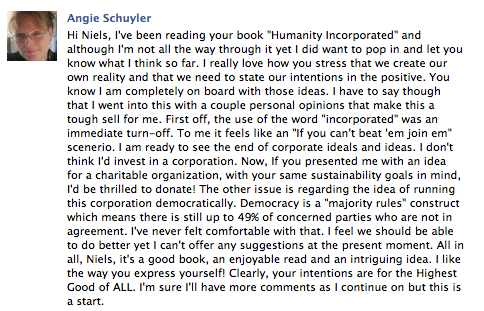 I am honored that Niels has asked my opinion about ‘Humanity incorporated’. First – the cover: functional, inostentatious, mildly obscure – moya moya. ‘humanity incorporated’ is lower case, lower right, diminutive to the subject – apropo. The author is not on the cover; that is his theme – a gift that everyone should want to give. We will be dealing with a man. The cover continued: ‘ humanity ‘ relates subjective benevolence and stands as a primary. ‘incorporated’ is a tangible acknowledgement of collective purpose; not exclusive; rather mindfully inclusive. Niels is inviting mindful benevolence as a primary of existence. He has won already!